It wasn’t that long ago that people looked down their noses at Korea’s finest automobile manufacturer. Since a complete design overhaul, many people have started to take notice, including Top Gear who are currently using the Kia Cee’d as their reasonably priced car. Even I was taken back by the presence of the new Kia Sportage. 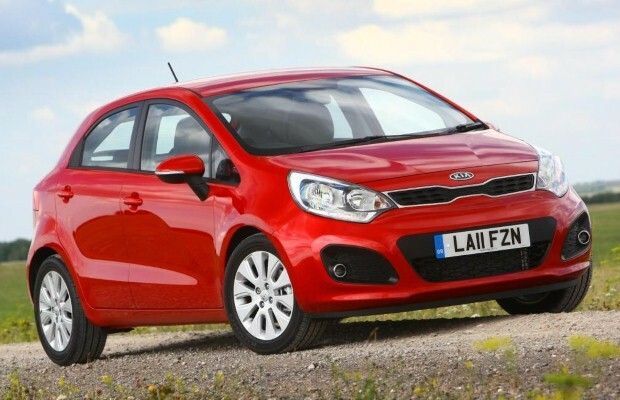 With styling aside Kia have played a most bold and clever move of introducing the Kia Rio CDi. Sporting a 74bhp 1100cc derv power plant, the Rio has ripped the UK’s MPG crown from the Smart Fortwo CDi by achieving an epic 88 MPG. It leaves behind the Smart, Skoda and even the Polo bluemotion in its eco “wake”. The Rio joins the rest of the ultra low MPG cars with some clever “EcoDynamics” tech. Low rolling resistance tyres, Intelligent Stop & Go engine technology, a drag friendly front grille and shift indicator help the Rio achieve its amazing efficiency while producing only 85g of Co2 per kilometer. As with most cars in the MPG race, the super mini qualifies for free road tax and is congestion charge exempt in our fair capital. The Rio his dealers next week, hit us up if you are one of the lucky owners – we would love to hear how much it returns in the “real world”. ‹ Supermarket fuel price wars continue… its gloves off! Sorry Nick, but this car isn’t even in the current JD Power awards. That was the old 2005-2011 model that bears no resemblance to the New Kia Rio car range. Every thing about the new model is completely different from the old model. They are as different as chalk and cheese. The 88 mpg is, of course, attained under lab. conditions on a rolling road (as are every other manufacturer’s figures). Don’t expect to get anywhere near this sort of economy under ‘real world’ driving conditions. I have just purchased a demo model of the Kia Rio CRDI Ecodynamics (2). Forget 88mpg unless you travel everywhere on a rolling road with no wind resistance. The maximum I get with the Ecodynamics Rio is 55mpg but only if I impose a maximum of 60mph on dual carriageways and motorways – which is quite boring. I exchanged my old Skoda Octavia, and its road tax of £118 for 6 months, for the zero road tax Rio. Its 1875 cc engine returned 54mpg whilst the 1125cc Rio engine only returns 55mpg (and that’s on a good day). Would the Kia manufacturers care to comment on how they managed to wangle zero road tax on an engine which burns the same amount of fuel per mile as the Skoda Octavia, using a non-aggressive driving style and on mixed urban/lengthy dual cariageway roads. Also could they tell me why an engine 50% bigger than theirs has nearly the same fuel consumption per mile? It would appear that technically speaking they have much to learn from Skoda on squeezing realistic extra mpg from their engines. There seems to be a common misconception that the lab test does not allow for aerodynamic drag. The rolling road (or chassis dyno as engineers call it) in the lab imposes a load on the wheels equivalent to the aerodynamic drag and the friction of the wheel bearings etc. It also simulates the vehicle inertia. We have a 2012 model 1.1 crdi Kia Rio and we only get 45-49 mpg only used for local journeys. 1 Pings/Trackbacks for "Kia Rio CRDi steals the UK MPG crown with an epic 88 MPG"